Check out the BIG! BIG! 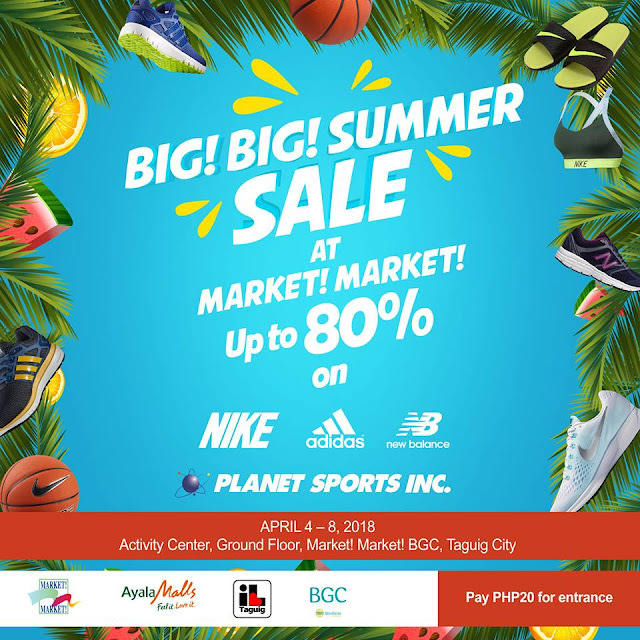 SUMMER SALE happening on April 4-8, 2018 at Market Market Activity Center, BGC. Fill your summer with big discounts up to 80% off on big brands such as Nike, Adidas and New Balance! Don't miss this!